Samsung announced this morning that the Galaxy S6 and Galaxy S6 Edge go up for pre-order starting tomorrow, March 27, with nationwide availability opening up on April 10. That doesn’t mean that all carriers will have the device available that day, so we thought we would gather all of the information from individual carriers and slap it for you in a single post. Let’s make this easy – well, as easy as it can be with two phones, three colors, three storage sizes, and who knows how many price points and payment plans. Availability: Pre-orders start March 27, but AT&T hasn’t said when the actual in-store date is. My guess is April 10, but we will update this post as that becomes official. Colors: AT&T will have the Black Sapphire, White Pearl, and Gold Platinum models available for pre-order on March 27. Bonus: If you buy the S6 or S6 Edge, you can save $50 on the Samsung Gear Circle, which is a Bluetooth headset. Edit: Full retail prices updated to correct numbers. Availability: Pre-orders start March 27 and the phone is available in stores on April 10. T-Mobile claims that if you pre-order, you will receive you phone “before the devices go on sale in stores.” So if you choose to pre-order either the S6 or S6 Edge, you should have it before April 10. Bonus: T-Mobile customers who order either phone before April 12 can receive a 1-year Netflix subscription for free. 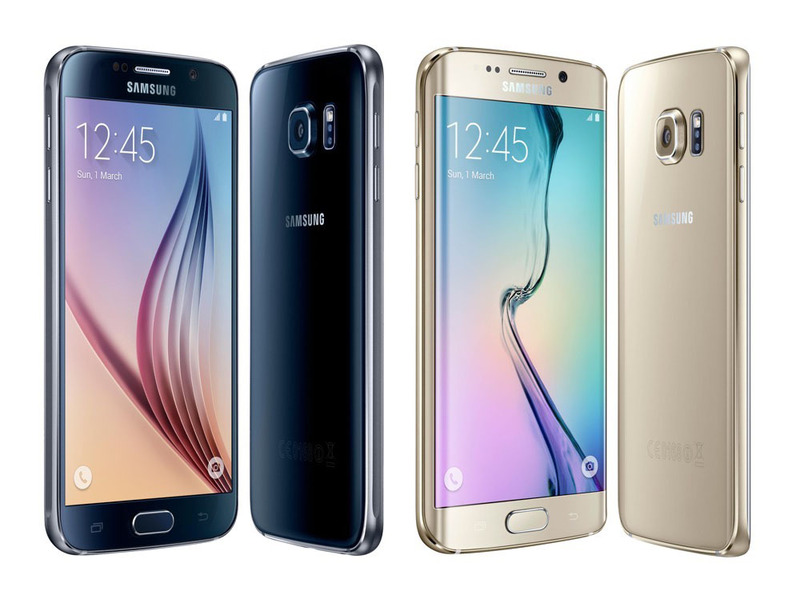 Availability: Verizon has only stated that pre-orders for the S6 and S6 Edge begin April 1. Availability: Sprint opens pre-orders for the S6 and S6 Edge March 27. The device arrives in stores on April 10. Colors: Sprint will carry Black Sapphire, White Pearl, and Gold Platinum models. Lease option: Sprint is running a “free” phone lease for the Galaxy S6 and S6 Edge. You can get an S6 at no cost if you sign a 24-month lease on the phone (they’ll give you a $20/month credit), and also sign-up for their Sprint Unlimited plan at $80 per month (unlimited talk, text, data). If you want the Galaxy S6 Edge, you are looking at $85 per month. Availability: US Cellular opens pre-orders on March 27 and the device will arrive in stores April 10. Colors: US Cellular will carry the Galaxy S6 and S6 Edge in White Pearl and Black Sapphire. Best Buy, Amazon, Costco., Sam’s Club, Target and Walmart will carry both the Galaxy S6 and S6 Edge. Carrier model availability at each should match up with the schedules of each carrier above. Cricket, Boost Mobile, and MetroPCS will all carry the Galaxy S6.